There are a few things that I’m rather good at, nigh semi-proficient. You know the saying, “Jack of all trades, master of none?” Well, just call me Jack (Jill? ), give me a square block of Los Angeles to blow up* and some terrorists to torture, and I’ll save the day yet. And while I may be horrible at naming things — novels, children, blogs, the machines at work (which are all named after Star Wars characters, so don’t sue me, George Lucas) — I’m rather fantastic, nigh awesome at naming bands. See, you gotta be somewhat referential to pop culture, but not so much that your band’s name is That’s What She Said (or Megatron), and it has to roll off the tongue easily. Sure, any schmuck can go and name his band The Snogging Penelopes, or The Leafy Manhood of Odysseus, but that’s kind of a mouthful, albeit it feels good in your mouth. And any joe-schmoe can go and name his band Hello, My Name Is… but a band like that is bound to drift off into obscurity after their first indie-pop-rock-hit. How’s about Ilsa’s Glove, eh? It’s got the pop culture, the Cordelia-approved mouth texture, and follows the traditional Proper Name’s Object format. Or what about Bruce and the Boomsticks? Sure, technically none of my band members (which, at last count was…me) are boys, but that doesn’t even need to be addressed until the monkeys monies roll. And who doesn’t love a nice, succinct alliteration? Which, of course, spawns Dewey and the Decimals. Yeah, I spent a good portion of my middle-school years volunteering at the local library where I re-shelved books and memorized the Dewey Decimal system. I like to think of that as Useless Talent #34. And to think, there are 33 more before that and maybe a gazillion after that. Yep, Useless Talent #249 is to exaggerate things to the gazillionth degree. The Toe Tags is for an alt-metal, industrial goth band. The Past Participles are for a cerebral, minimalist avant-garde folk band. And let us not forget: Melissa Reads the Phonebook. Alas, my own musical aspirations will probably never come to fruition, so I’m now giving these away for FREE on the internet as a show of good faith. I expect you to pay me royalties if you become famous. If you don’t, well, don’t let the un-cool kids come to this site. We wouldn’t want the riff-raff coming in, now would we? *I can never figure out why, with the proliferation of people who have last names ending in -auer, a la Jack Bauer, Matt Lauer, and Eddie Bauer, people insist on still pronouncing my last name as Saywer. As in friend of Huckleberry Finn. Or sewer. As in the thing the Teenage Mutant Ninja Turtles live in. There’s also sauerkraut, which I hate, but also serves to correctly pronounce my name, if not be a stinky reminder of Germanic food. Sour. Like, if I were to marry a relative of Jodi Sweetin, I would be Mrs. Sweetin-Sauer. 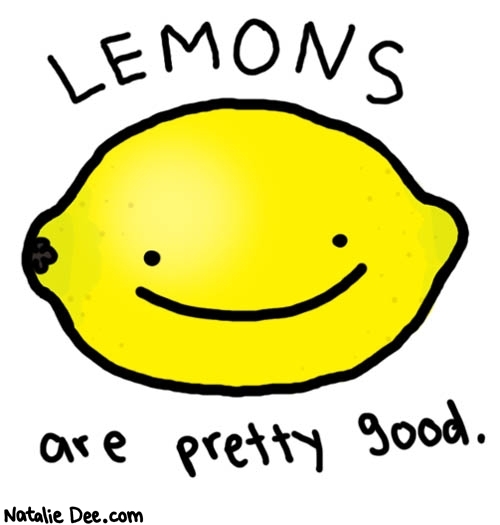 Or if I were to marry someone whose last name is Lemon, I’d be Mrs. Sauer-Lemon. I think people are afraid to say “sour,” so they pawn it off as something that’s even worse than “sour.” Please, for the sake of the children — my future children — buy my books when I publish them so I can become famous and end the dispute once and for all.